Of the 60+ essays and articles in this collection, the only one I didn't read was the fly fishing one (Sorry to the guy who wrote the fly fishing piece). Lots of boxing and baseball but there are some other sports represented. Some of the biggest names in writing are represented as well. It's a book I wish didn't have a last page. 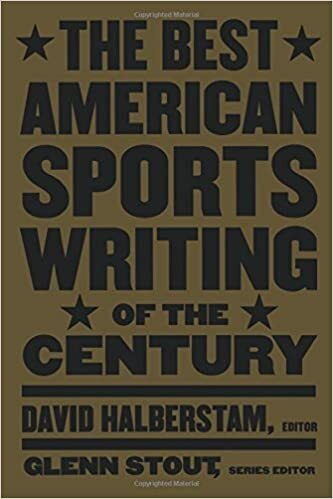 The Best American Sports Writing of the Century showcases the best sports journalists of the twentieth century, from Jimmy Cannon, Red Smith, William Mack, Gary Smith, and Frank Deford to A. J. Liebling, Tom Wolfe, and Hunter S. Thompson, and includes such classics as "What Do You Think of Ted Williams Now?